PIAA Wipers - Forza Hybrid Silicone UNIVERSAL - Dezod Motorsports Inc - Home of the automotive performance enthusiast since 2002. No, this hybrid doesn’t save you gas – it saves your vision. 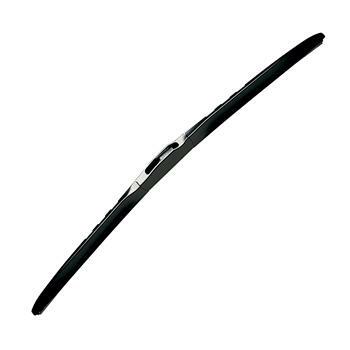 The most technological advanced wiper today, PIAA Forza Hybrid Silicone Wipers feature an industry first side-spring frame design that optimizes contact pressure across the length of the blade, resulting in a clear, streak-free windshield. Its wind-cheating aero cover applies down-force at higher speeds for today’s high performance drivers while still delivering a sleek, contemporary look. Rust resistance and durability is the Forza’s forte, too, thanks to its zinc-plated frame and powder-coated finish. Combining all these features into one makes this wiper a true Hybrid.